The source of the research below can be found by clicking on the title of the research. The materials below are adapted from various sources chosen by Brittany Fleming, a Geometry Teacher and Summer Education Program Director. To increase the achievement levels of minority and low-income students, we need to focus on what really matters: high standards, a challenging curriculum, and good teachers. What's The Big Deal About Vocabulary? The language of mathematics presents challenges for English-only speakers and English language learners alike because words used in math have unique and specific meanings. For example, table, origin, and leg may already be present in a student’s vocabulary but may not encompass the math concepts associated with the words. Terms such as average and reflection have precise mathematical definitions. Some words are uniquely related to mathematics (e.g., integer, outlier, and algorithm). Even word combinations take on specific meaning in mathematics. Value by itself has one meaning; absolute value has a far different meaning. The word inequality has a common meaning inside and outside math class, but the symbols used to represent less than and greater than in a math sentences must be taught. Many students view the language of mathematics as being a foreign language (Kotsopoulos 2007), and some educators view mathematics as a second language ( Jones, Hopper, and Franz 2008). Both English language learners and English-only speakers need teacher input to master the extremely narrow definitions of math terms to become conversant in mathematics classrooms. It is important to address vocabulary deliberately in math class. If not taught with its particular requirements in mind, then computation will move to the forefront, and vocabulary will lose its emphasis (Orton 2004). The vocabulary teaching strategies described below are particularly beneficial to English language learners because they require students to think deeply, determine relationships, and connect new concepts and words to what they already know. In addition, these strategies visually convey meaning without using complex language or complicated sentence structure. Stage 1. Identify Desired Results. In Stage 1 we consider the goals. What should students know, understand, and be able to do? What big ideas are worthy of understanding and implied in the established goals (e.g., content standards, curriculum objectives)? What “enduring” understandings are desired? What provocative questions are worth pursuing to guide student inquiry into these big ideas? What specific knowledge and skills are targeted in the goals and needed for effective performance? Stage 2. Determine Acceptable Evidence. In the second stage we consider evidence of learning. How will we know if students have achieved the desired results and met the content standards? How will we know that students really understand the identified big ideas? What will we accept as evidence of proficiency? The backward design orientation suggests that we think about our design in terms of the collected assessment evidence needed to document and validate that the desired results of Stage 1 have been achieved. Part Online - In part online, with some element of control over the time, place, path, or pace of their learning. Part Away From Home - In part in a brick-and-mortar location away from home. Along a Learning Path - The modalities along a student’s learning path are connected to provide an integrated learning experience. Focus on multiculturalism and diversity. THINK, how does my classroom reflect the culture of my students as well as the legacy of the school? Student Supplies ~Maya Angelou Public Charter School, Washington D.C.
Whole-class instruction will not work to improve the literacy achievement of our children. To be effective, teachers have engaged students in purposeful instruction designed to meet the needs of individual and smaller groups of students. 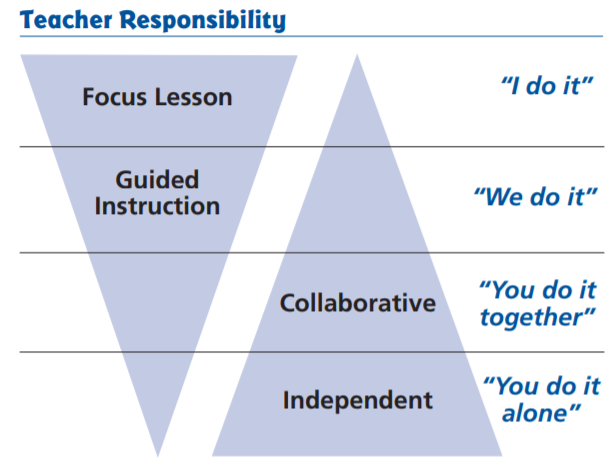 To do this is to use a gradual release of responsibility model (Pearson & Gallagher, 1983). The gradual release of responsibility model of instruction requires that the teacher shift from assuming “all the responsibility for performing a task … to a situation in which the students assume all of the responsibility” (Duke & Pearson, 2002, p. 211). This gradual release may occur over a day, a week, a month, or a year. Stated another way, the gradual release of responsibility “… emphasizes instruction that mentors students into becoming capable thinkers and learners when handling the tasks with which they have not yet developed expertise” (Buehl, 2005). Focus Lessons. 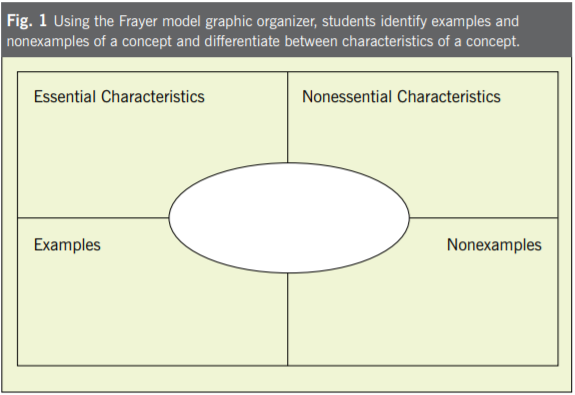 This component allows the teacher to model his or her thinking and understanding of the content for students. Usually brief in nature, focus lessons establish the purpose or intended learning outcome and clue students into the standards they are learning. In addition to the purpose and the teacher model, the focus lesson provides teachers and opportunity to build and/or activate background knowledge. Guided Instruction. During guided instruction, teachers prompt, question, facilitate, or lead students through tasks that increase their understanding of the content. While this can, and sometimes does, occur with the whole class, the evidence is clear that reading instruction necessitates small group instruction. 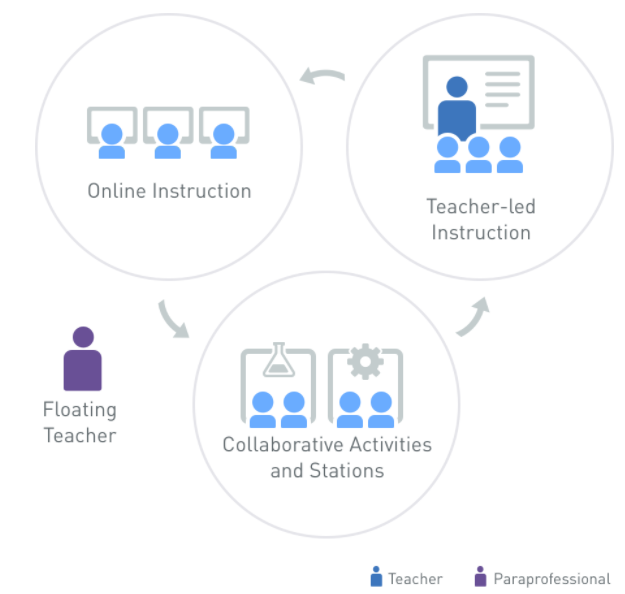 Guided instruction provides teachers an opportunity to address needs identifi ed on formative assessments and directly instruct students in specifi c literacy components, skills, or strategies. Collaborative Learning. To consolidate their understanding of the content, students need opportunities to problem solve, discuss, negotiate, and think with their peers. Collaborative learning opportunities, such as workstations ensure that students practice and apply their learning while interacting with their peers. This phase is critical as students must use language if they are to learn it. The key to collaborative learning, or productive group work as it is sometimes called, lies in the nature of the task. Ideally each collaborative learning task will have a group function combined with a way to ensure individual accountability such that the teacher knows what each student did while at the workstation.